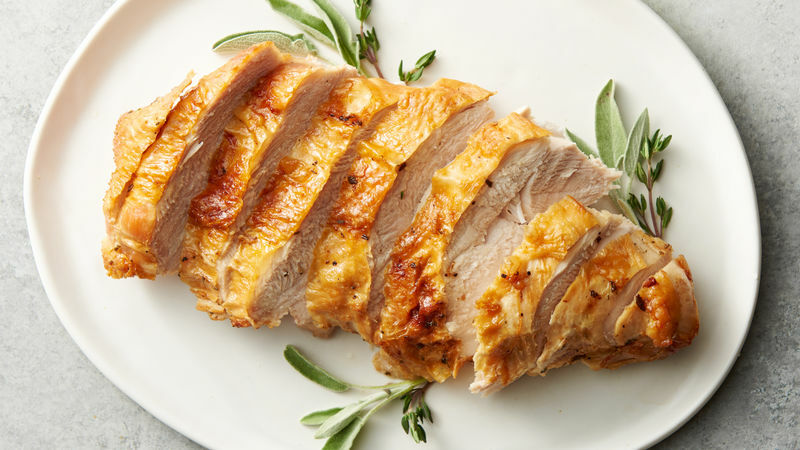 Rub softened butter on all sides of turkey breast; season with salt, herbs and pepper. Place skin side up in basket of air fryer. Set to 325°F; cook 30 minutes. Using tongs, carefully turn breast over. Cook 27 to 32 minutes or until internal temperature is at least 165°F. Remove from basket; let stand 10 minutes before slicing. Dried herbs can be substituted for fresh herbs; just reduce to 1/4 teaspoon of each herb.